The sport of high innovation. Top 10 best examples of the merger of sports and technology. Best fitness apps for Google Play and App Store users. Google Fit- popular sports geeks app. Sworkit – pocket trainer for home workouts! MyFitnessPal – weight loss guide! C25K – How to start running? How to optimize your sports activities? Which gadgets and apps are the most popular today? How modern technologies facilitate physical exercise? AskYourFitnessQuestion will tell you all the answers. Every sports geek should know these novelties in the world of sports! Today, doing sports is not only useful, but also very fashionable. Exercise helps to keep yourself in shape, energizes and gives energy for the whole day. 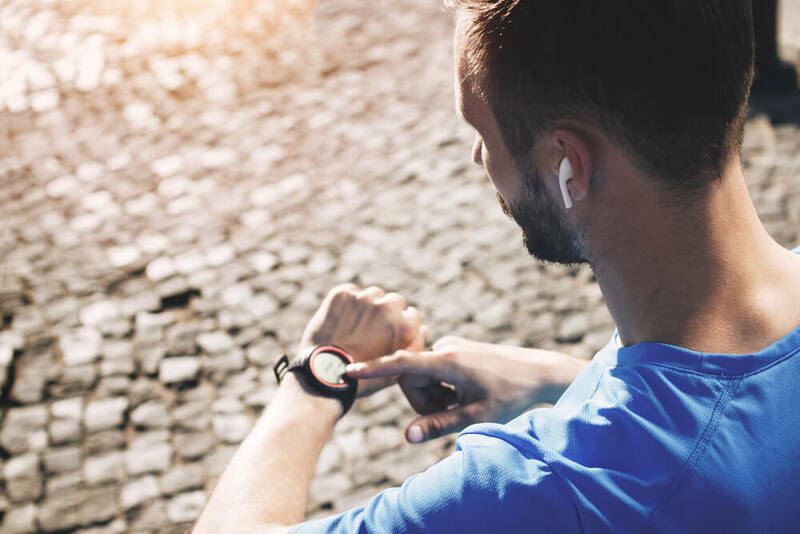 For more productive workouts, sports geeks currently use hundreds of different gadgets, ranging from the coolest watches of the latest model to HLS services in the form of applications on smartphones. They can do everything, except homework for you. Proper use of these technologies and a smart approach to stress are the key to successful sports, as well as improving health. 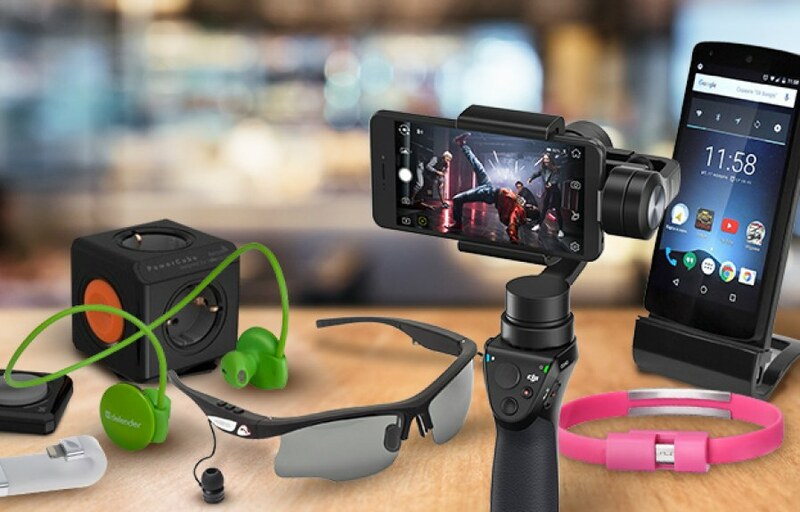 We have made for you a selection of the coolest and most effective gadgets for sports that exist in the modern market. it is the leader of our top list. This device controls the heart rhythm of the person who decided to play sports. In this case, it does not matter what kind of physical activity you perform. The cardio sensor, or heart rate monitor, will be relevant when jogging, and during strength training in the gym, and when cycling. It will not hurt, even if you are doing Nordic walking. And if you can’t imagine your week without going to the pool, then this gadget will help you not to overstrain while swimming. When any physical activity is significant to monitor your heart rate, keeping it in a particular area. Ten years ago, it was necessary to search for a pulse on the arm or neck, measure it by the clock and then calculate the real heart rate. Now everything is elementary – the cardiac sensor will do everything for you. Any modern heart rate monitor perfectly synchronizes with mobile devices. After a workout, you can see all the indicators minute by minute. Cardiac sensors are longlasting. Deserved second place. This gadget today is wildly popular both among young people and among older people. It is also very common to see on a hand of almost every sports geek! A beautiful and stylish bracelet not only looks spectacular on your hand but also performs a number of useful functions. It shows the distance traveled, the speed of movement, the number of calories expended. You can set different modes, up to the reminder to drink some water. 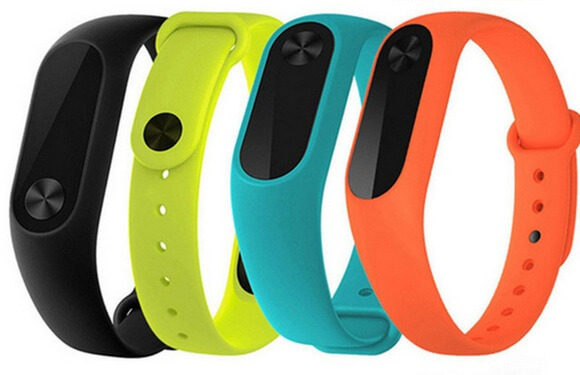 Fitness bracelets are very convenient to use, do not take up much space and do not require large investments. The charge lasts almost five days. Fast synchronization with mobile devices helps to share the results achieved and their progress with other sports geeks and lovers of a healthy lifestyle! Do you want to pump your respiratory system, improve endurance and cardiovascular parameters, without leaving the mountains to height? 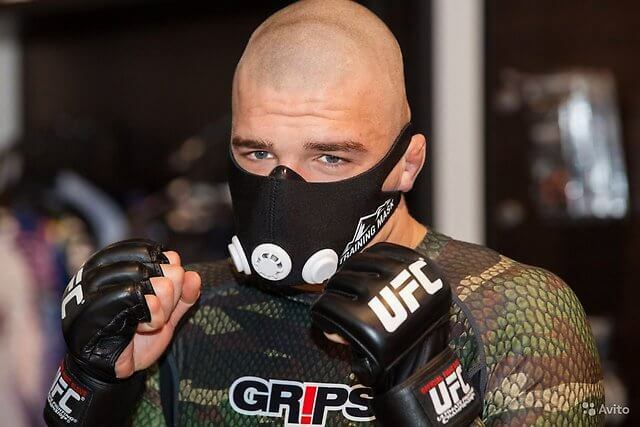 Tnen, a special training mask merely becomes indispensable for you. This sports gadget limits the flow and, accordingly, oxygen consumption during training. Your physical activities will take place in a kind of “oxygen starvation.” The mask contains valves for inhalation and exhalation, allowing you to adjust the resistance. With such a device, your workouts will be more diverse and more productive. Moreover, the muscles of the respiratory system will become stronger. Going to a jog or bicycle race, most sports geeks take with them players, phones and other technical devices that make training much more fun. The only problem, in this case, is meter wires, which often interfere, get confused with each other or decorations, cling to something. Wired headphones periodically fall out, creating a lot of problems. This gadget, which is an innovative headphone, allows you to listen to your favorite energetic music without wires. It is only necessary to insert compact plugs into your ears and connect Bluetooth. Now you do not need to hold the phone in your hand, look for where to hide the player and perform many unnecessary movements. A high-quality sound and comfortable placement in the ears will make your workout more pleasant. Footwear for sports is almost the most important element of equipment. Comfortable and practical, it will help save your joints. The choice of sneakers is a ritual. For each person this event is individual. In the modern world, there are already dozens of different models of sneakers – for every taste and color. And there are even smart sneakers. This is almost the equivalent of a personal trainer. What are they? 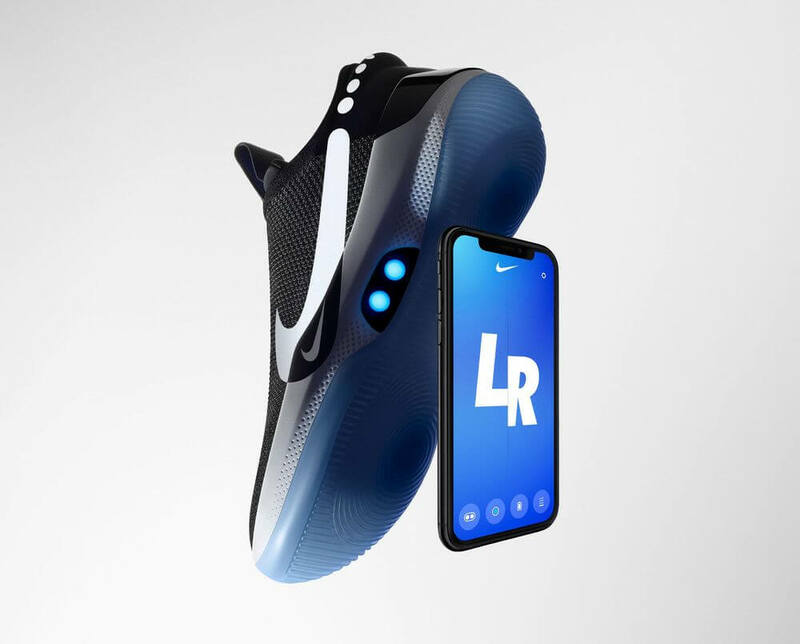 Select shoes with sensors that transmit data about pace, time and distance, synchronized with a computer or smartphone. A huge bonus is that such sneakers control running technique. They help to identify significant errors and then provide recommendations for its improvement. With smart sneakers, sports geeks can not spend money on individual lessons with a coach. How to understand that your workouts are beneficial? The most simple way to control one’s physical form is regular weighing. Currently, using weights, you have the opportunity to find out not only the number of your kilograms but also the body mass index (BMI), the mass of body fat, the mass of bones and much more. These functions are incorporated in special analyzer scales. They do not take up much space, do not require lengthy configuration, but they provide you with complete and accurate information about your condition. 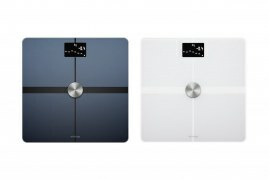 Scales are also synchronized with smartphones and computers, transmitting data in the form of charts and graphs. No time for full sports? Bad weather does not let run in the fresh air? Or maybe you do not have enough space to do your favorite exercises? However, without exercise, the state becomes sluggish, the vitality drops, and the mood deteriorates. Need movement. And in this case, a small workout with a rope is perfect. But not the one with which you competed with friends in the yard as a child, but clever and technological. Smart-rope counts the time, calories and the number of completed exercises. It can be used both for a separate workout and for warming up in front of the gym. In addition to accurate statistics, smart jump rope will give you an excellent opportunity to increase coordination. The compactness and ergonomics of the smart-rope allow sports geeks to always have it with them. With these gadgets, sports will be more interesting, more productive and safer for health. Exercise will no longer be a forced necessity and will turn into an interesting exercise! Today, very often there are different Championships in athletics and other sports, where the best athletes from all over the world come together. But modern sports are not only physical achievements but also technologies. A dozen of the best examples of the merger of physics and physiology will be discussed in this review. Glasses Recon Jet – sports alternative to Google Glass. Recon Jet interactive glasses are designed, first and foremost, to help active sports geeks. Unfortunately, there is no voice control feature in Recon Jet glasses. All manipulations with this interactive device can be performed using the touch panel located on the side of the device. Technically, Recon Jet glasses boast a camera that can shoot 720p HD video and 8 gigabytes of persistent flash memory. Also has 3D accelerator, Wi-Fi and Bluetooth wireless communication modules, and a Micro USB wired connection. You can use this device both in summer and in winter. Unlike Google Glass, the screen in the Recon Jet is located at the bottom of the glasses, and not at the top. According to studies, this position is much more convenient for the end user. Flyboard – a new water sport. Sometimes the emergence of a new device becomes the beginning of the birth of a new sport. 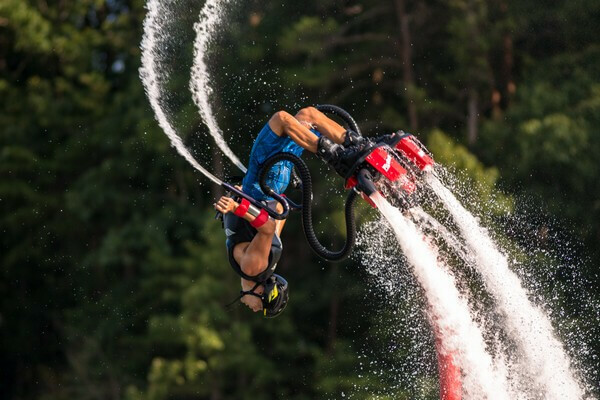 The same thing happened with a device called Flyboard, which allows a person to literally fly over the water while performing incredible somersaults. Laser football field from NIKE. NIKE launched an unusual sport and social project in Madrid. She created a minibus that can travel from area to area and create a laser version of the sports field in any area. The #MiPista social initiative, recently introduced by NIKE, aims to provide even places where there is no own stadium with places to play football. Of course, the clothing mentioned above manufacturer did not start building stationary sports grounds. The company approached this issue with fantasy, it decided to turn any free spaces on the streets of the cities into such ones – supermarket parking, pedestrian streets and squares, courtyards, etc. The program #MiPista is being implemented on the basis of a small minivan that can easily move from place to place. This minibus is equipped with a special laser system, which in the evening projects a football field onto a plane of any size. And on the sports field formed in a matter of seconds, people can play their favorite game. Moreover, the departure of such a football minivan is completely free. It is enough to send an SMS request to a special number, indicating in it the place where the minivan should go, as well as the time for that. The responsible employee of the social program #MiPista will verify this request with the already existing schedule and immediately send a positive or negative answer. iPod Nano Player for Athletes. Sometimes not only technology influences sport, but also sport on technology. As one of the most striking examples of this is the appearance of a miniature iPod Nano audio player, which Apple created specifically for the needs of sports geek. After all, they needed a very compact player with fast and convenient access to music during training. Adidas MiCoach Elite and MLS: a smart look at football. Not so long ago, Adidas launched a digital trainer technology called MiCoach. She even released special sneakers in order to collect detailed statistics on the athlete’s actions. But in the near future the range of sporting goods, working in “cooperation” with this system, will increase significantly. And the scope of its action – will expand to football. Adidas has even signed a cooperation agreement with the MLS football league. According to this agreement, all nineteen teams of this top football league of the United States of America will be equipped with sets of special devices that cling to each sports geek. During a match, these devices will transmit a wide variety of data about the player and his actions online. For instance, his speed, heart rate, position on the field, ball hitting force, acceleration, and many other performance indicators. And the Adidas MiCoach Elite program will, of course, process all this information. Santa Clara Stadium – the most wireless stadium in the world. Not only athletes, organizers, and judges, but also the audience should have access to modern technologies at the stadium. Understanding this, the San Francisco 49ers American Football team is building the Santa Clara Stadium. It will have 69,000 seats for visitors. The Stadium, after construction is completed, will become a sports arena with the highest Wi-Fi coverage in the world. Mini MINI for the Olympics in London – a real sports car. It is not about conventional cars of this brand, but about the MINI MINI model specially developed for this purpose – a fourfold reduced copy of the MINI E.
The company MINI does not get tired to please their fans. The Mini Cooper Coupe sports car is already preparing for serial production, and at the Summer Olympic Games in London, the public saw, indeed, a miniature version of the MINI – MINI MINI. The MINI MINI car was not created to transport people. Its main purpose is to serve as a means of transporting sports equipment within the stadium bowl. The carrying capacity of this miniature vehicle is only 8 kilograms, which is equivalent to two spears, one hammer, a disk or a core. Cameras from the GoPro series are a favorite device of people involved in extreme sports. After all, this device is not afraid of neither water, nor heat, nor cold, nor blows. It will shoot your sports in any conditions so that later you have the opportunity to demonstrate your achievements to the whole world! miCoach Smart Ball – a smart soccer ball. For several years there has been a soccer ball that automatically determines whether it has crossed the goal line or not. Adidas miCoach Smart Ball can do much more. He can act as a personal trainer for a football player, helping him hone his skills in delivering a variety of strikes (penalty, penalty, range, corner, etc.). 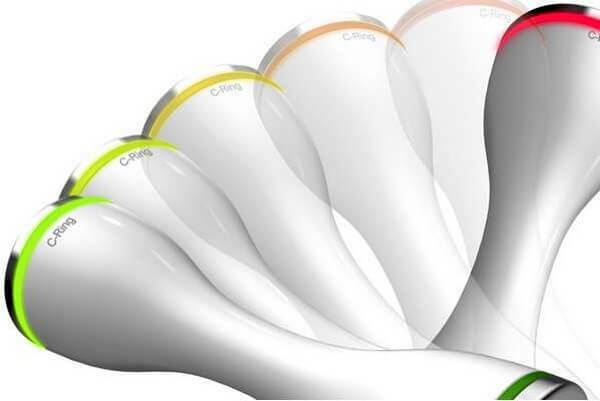 C-Ring Dumbbells – “smart” dumbbells are not for the color blind. C-Ring Dumbbells are dumbbells, which themselves calculate the number of calories you burn during a workout, and, depending on the indicator, will glow in different colors. Green means you still have to train and train. Yellow – that training is in full swing. And red – that you have enough load for today. We decided to go in for sports, but the schedule, written by the minute, leaves no time for visiting the gym. And you can’t afford a personal trainer? For this and created a fitness application. Even with a subscription to the nearest gym and with full sports equipment, we do not always have enough pedantry to count calories burned, analyze progress and keep statistics, as specially created programs do. We have collected the best applications for sports geek, among which there is sure to be a suitable option for you. With this application, you will not have to spend money on a personal trainer. FitStar determines your needs and level of fitness with a set of simple questions at the end of each workout. Thus, each subsequent training becomes more difficult but does not cause overwork of the body. The application is suitable for both beginners and fans of an active lifestyle. The mobile application Fitstar Personal Trainer is suitable for fitness and cardio training both in the gym and at home. It has a large base of individual workouts, and also allows you to work on programs selected by the user’s own parameters. Also for each exercise, there is a video and audio. The application is free and does not have built-in advertising. Unfortunately, there is a paid subscription to extend the functionality and mandatory registration. The security level of the application corresponds to the average. The mobile application regularly receives updates, demonstrates correct and stable operation. A large number of training programs. Detailed video instructions and audio. Ability to download only individual workouts. A high degree of scientific explanation of exercises. As a rule, the Google Fit – Health and Activity Tracker application is already embedded. And the user often only needs to update it to start using the free application. The mobile application allows you to measure indicators such as total time, pace, calories, pulse. It also has detailed statistics with a time interval and display of the jogging route. 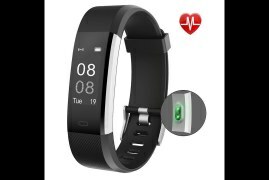 The application allows you to connect many wearable fitness devices via Bluetooth, has a version for smartwatches. However, the application completely lacks a social component, there is no possibility to add as friends, share achievements or statistics. Also not provided for the functions of music management, auto pause run and transfer the current location. There are no training plans, as well as welcome instructions. But in order to start the race, sports geek need to make more than two clicks from the start screen. The security level of the application corresponds to high performance, despite the inability to set a password for entry. Also, the application does not request active consent for the processing and storage of personal data. The mobile application regularly receives updates, demonstrates correct and stable operation. Can’t find a suitable room? Little time left? No problem! This application is designed specifically for busy people. You can choose an exercise style (strength, cardio, yoga or stretching) from dozens of workouts or create your own using the app. Each workout includes high-resolution videos and a countdown for reps. Among the many mobile applications, Sworkit stands out for its versatility, practicality, and incredible variability. This is explained by an interesting principle, which is laid in the mechanism of selection of exercises and complexes for training. The fact is that for each of your classes, Sworkit randomly generates a new set of exercises from the huge number of exercises available in the program database. Thus, sports geek just needs to select the type of training (strength, yoga, stretching, Pilates, and so on), then specify the duration of the session and user can begin to perform. Exercises demonstrate not stylized “green men”, but real athletes. Now you can download videos that demonstrate all the exercises in detail. Now the program does not need to connect to the network. The duration of the exercises and pauses between them can be changed, which allows you to flexibly regulate the load. A completely new feature that allows you to create, store and even share with other people your personal training complex. Due to this, dozens of specialized complexes appeared in the program’s arsenal. There are workouts from a light warm-up before a run to hard pumping of certain muscle groups. Improved statistics that helps set goals, track achievements, set workout reminders. If you are looking for a suitable pocket trainer for home workouts, then be sure to try the updated Sworkit. Available: free for Android, iOS. Now, every time before you eat something delicious, you will see how many calories are in this very tasty one. And how much you will have to spend the effort to prevent these calories from settling on certain parts of the body is also shown. Very motivating, right? During registration, you enter your physical parameters: weight at the moment, desired weight, height, date of birth and gender. How physically active you are during your work (sedentary, average activity, etc.) and how many times a week you want to play, a sports app also require to know. Based on the data received from you, the application calculates how many calories you have to spend each day in order to achieve your goals. You can track your results not only through the mobile application but also through the website. You keep your food diary in dishes. Enter the name of what you ate for lunch in the app’s grocery dictionary, specify the quantity and get the layout by calories and elements. It turns out that two bananas are 160 calories. You can also save here your own recipes for healthy and low-calorie dishes. In the section “Exercise” sports geek enter the number of workouts and calories burned. For example, I entered “running”, and the application gave me several options at once. Everything you enter on the site is automatically duplicated in your mobile application, and vice versa. At the end of the day, the application calculates your overall picture (eaten – burned). Also, shows how you manage to adhere to the established norms. For example, in order to burn the double burner menu, I will have to run for at least half an hour at an average speed of 5.5 minutes per km. Both the mobile application and a website provides many tools for tracking how many calories we eat and how much of this we burn during physical activity. MyFitnessPal contains a huge database of food and beverages. Available: Free for Android, iOS, BlackBerry, Windows Phone, Web Free on Tunes. Immediately after launching, the Workout Trainer will offer to create a free account. In the process of creating an account, you will have to answer several uncomplicated questions. Including specifying your gender, date of birth, desired intensity of training, estimated time for training. Goals for training such as losing weight, increasing endurance, building muscle, you also need to type in. In accordance with the data entered by you, a suitable training program will be selected for you. As a rule, this is a 2-6 week training cycle designed by professional trainers designed to help you achieve your goals. If the proposed program you do not like, then you can choose another. Although there are not many free training programs in the catalog, there is a choice. Before starting your workout, you need to select a trainer’s avatar, whose voice will give you instructions. All text and voice instructions in English, each exercise is accompanied by detailed frame-by-frame illustrations. By the way, these pictures are loaded before the training starts from the network, so you will need an Internet connection. It is possible to pause the exercise or skip it at all and go to the next one. In addition to the basic functions described above, the Workout Trainer has a number of thoughtful details that make working with it even easier and more enjoyable. There is integration with a built-in calendar that will remind you about workouts, a special desktop widget, social functions, and so on. A huge arsenal of training, excellent forethought, and implementation of the application, many convenient features allow you to confidently say that the Workout Trainer is one of the best fitness programs! It rightfully has such a large army of sports geek users. VirtuaGym provides an opportunity to organize fitness training, as well as keep a diary of a sports geek of almost any other activity – from running to badminton. Like many other services in this category, it consists of two interrelated parts . It includes website that stores your statistics and settings, and a software client that acts as your personal trainer. For easy orientation in many complexes, there is a filter system on the left. With their help, you will be able to select exercises for the equipment you use, for goals or level of difficulty. Any training plan can be viewed in more detail, with all the exercises included in the complex, the number of sets and repetitions, training days, and so on. After you have selected the right training plan, you need to add it to your calendar. In spite of the fact that the program offers us a rather rigid exercise scheme, we can pause the counter at any time, edit the actual number of repetitions, add our exercise to the complex. Thus, there is some opportunity to adjust the complex for yourself. Virtual trainer VirtuaGym is one of the best applications in its class. Available in the free version of the functions with the head enough not only for beginners classes but also for advanced athletes. The program combines the existence of a rigid action plan with the ability to flexibly tailor this plan to fit your needs, which is what many competitors lack. The world-famous brand Nike presented for all Android users its new free app Nike Training Club. This is a special program in the class “trainer in your pocket” that will help you to get an excellent fitness shape, lose weight, develop endurance and muscle strength. NTC is a program that contains more than 60 comprehensive sessions developed by professional athletes and Nike coaches. The total number of exercises presented in the program is about 100 pieces, most of which affect several muscle groups at once. Classes are built on the interval system and take 15, 30 or 45 minutes. For most of the complexes, you will not need any special equipment, so that you can study at home, on the street or at any place convenient for you. After installing the Nike Training Club program, you will be asked to download additional materials, which are detailed step-by-step illustrations and video clips for each (!) Exercise. All this wealth takes more than 250 MB, so take care of the free space on the SD card and Wi-Fi connection. Yes, the developers did not stint here, but you definitely will not have a single question about the implementation technique. In conclusion, I would strongly advise boys to also pay attention to this program. I would like to note that in spite of the fact that Nike Training Club, with its whole appearance, is aimed more at the female audience. To assess the seriousness of training, just try to perform even the most difficult complex – you have to sweat pretty. And if it seems a little, then of the six dozen workouts you can always choose by force. Spring is an application that contains a huge library of running music. In addition, the application selects the music to your pace, and so run much more fun! Spring is an iPhone built-in music library sorted by tempo. For example, you are not changing over time. You will always adapt to you. And not vice versa. To do this, select the type of training (running, walking, cycling, rowing) and the pace of running. It also requires information about the place of training (home or street) and performers. It depends on the place of training whether the GPS sensor will work, and need to put fingers up or down the performers. I think should not explain why. Player prudently sharpened under the training regime. Few elements, and those that are, – large, so that it was convenient to fall on them during class. Below is the workout time and GPS on / off. In the settings you can also set the sound of the beat, which will be heard in time with the run, turn on the voice assistant and enter personal data. Unfortunately, free service gives only 600 minutes of running. After that, you have to buy a subscription for $ 2.99 per month. Or buy a one-time workout, at $ 0.99 per hour. Spring has got accustomed to me because there really is a lot of cool music. And over time the service adjusts to your preferences and becomes even better. In general, the service is really very cool, stable and works at 100%. Will you use? Endomondo tracks jogging, cycling, and other outdoor activities. This application boasts precision and one of the simplest interfaces. First, you have to pass a test to determine the fitness level, and then the program will offer a plan based on your favorite form of exercise. During training, the virtual trainer informs you that you are about to beat your record or, on the contrary, should accelerate the pace. There is also a competitive spirit: you can challenge friends and acquaintances, track your results and share them with each other. The principle of operation of the Endomondo service is very simple. You install an application on your mobile phone that calculates your movements using the built-in GPS and builds the route of your running workouts. Moreover, it measures the speed and calculates its change over time. As soon as you are ready to run, start the program and press the start. While running, it will calculate the speed of movement, draw a route in real time on Google Maps. And when you come home, you can analyze your route. In addition to individual results, you can create teams and take part in tournaments, look for routes in unfamiliar places. If you travel a lot, follow champions and much more. The service is simply porous and available to absolutely everyone! Available: free for Android, iOS (premium – $ 5.99 / month, $ 29.99 / year). Couch-to-5K is a special application that will prepare you for the 5 km race. It contains a special program that allows people from virtually zero levels of training to gradually move to a half-hour non-stop run. The program is designed for three workouts per week, and the lesson time does not exceed 30 minutes. In this case, the total time for the implementation of the training plan is 9 weeks. But, of course, this is a relative value. You can either reduce this time or increase it. I find it is useful if you don’t cope with the proposed loads. Each of your workouts will be a sequence of time intervals. During which you will alternate between normal walking and running. And as your progress, the spacing of the intervals will be more and more. As a result, the time of walking will gradually decrease. The audio trainer will guide your actions. It not only tells you when to go or run but also encourages you with your valuable tips and statements. The track of your workout, along with such indicators as speed, distance, the pace is recorded by the device and stored in the training log. Here you can leave notes about your health, weight, and mood. Despite the fact that the application is paid, Couch-to-5K is a vivid example where a few dollars invested by you will bring you real and tangible benefits. And then, perhaps, you will want to reach the following peaks. Thus, another program of the same developer, called 5K-to-10K, will help you with this.